As I’m sure you’re aware, the first real nativity sets didn’t begin until the first by St. Francis of Assisi in the thirteen th century, though the birth of Christ had been depicted in art since the origin of the Church. But since the thirteenth century, different cultures and different countries have taken the nativity and added their own spin to it. Many credit Naples in Italy as the real beginning of the nativity set as an art form. In the eighteenth century there would actually be competitions between families to create the most elaborate and intricate scenes. These scenes were not necessarily biblically accurate, and often depicted more mundane activities as well, like Mary washing diapers. In the United States, there is a regional variant on the traditional nativity set. The Pennsylvania Dutch created what was called a “putz” at the foot of their Christmas tree. These intricate miniature scenes expanded over the years to include not only the nativity scene, but also other important biblical stories, such as Noah’s Ark. From including other biblical stories , these time consuming miniature worlds began to encompass the secular world, as well, becoming an entire Christmas Village. 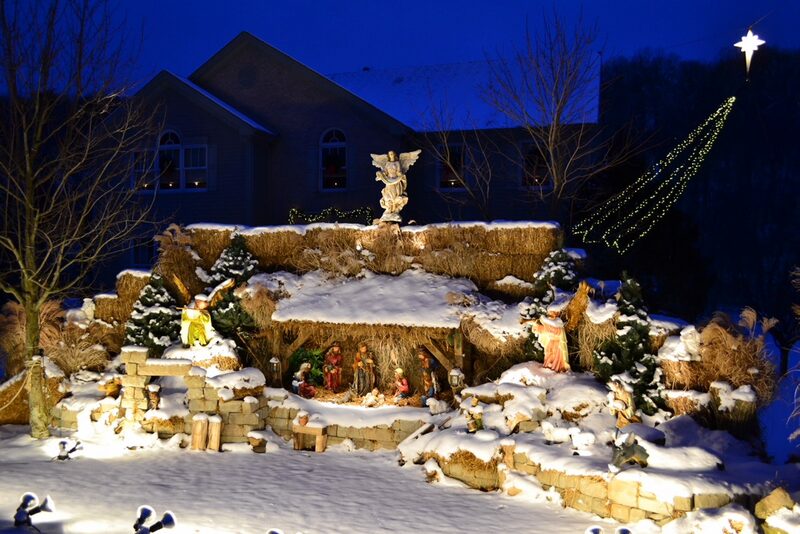 Perhaps even more elaborate in ways than the US tradition of the Christmas village is another derivative of the nativity set – originating in Krakow, Poland in the nineteenth century. Called the “Krakow szopka” – this art form is a kind of folk art, as the scene of the birth of Christ usually incorporates historic buildings in the area. Bright colors, gilding, and the prominence of the building in the background are typical. They even have krakow szopka competitions – they can be as tall as two meters (or six and a half feet)! One of the most important nativity sets is one that did not begin until relatively recently. In 1982 Pope John Paul II started the annual tradition of placing a nativity scene on display at the foot of the Christmas tree in the piazza at Vatican City . As well as static nativity sets, from the extravagant to the humble, there are also traditional live nativity scenes that are largely derived from mystery plays, which were prohibited by the Church in the fifteenth century. These living nativity scenes were brought to the United States by German immigrants. In some countries, these live tableaus involve a procession to a final destination, and other times are more involved re-enactments that encompass both secular and religious happenings. Whatever your take on the nativity, there is no doubt that there are a lot of powerful and creative interpretations of the story of the birth of Jesus Christ.